IDBI Bank Ltd. is a Universal Bank with its operations driven by a cutting edge core Banking IT platform. The Bank offers personalized banking and financial solutions to all its clients in the retail and corporate banking arena through its large network of Branches and ATMs, spread across the length and breadth of India. The Bank has also set up overseas branch at Dubai and have plans to open representative offices in various other parts of the Globe, for encashing emerging global opportunities. The company's experience of financial markets will help to effectively cope with challenges and capitalize on the emerging opportunities by participating effectively in our country's growth process. As on March 31, 2012, the Bank had a network of 973 Branches and 1542 ATMs. The Bank's total business, during FY 2011-12, reached Rs. 3,91,651 Crore, Balance sheet reached Rs. 2,90,837 Crore while it earned a net profit of Rs. 2032 Crore . The vision for the Bank is "TO BE THE MOST PREFERRED AND TRUSTED BANK ENHANCING VALUE FOR ALL STAKEHOLDERS". IDBI Bank Ltd. is a Universal Bank with its operations driven by a cutting edge core Banking IT platform.The Bank offers personalized mostly banking and financial solutions. ICMS, a wholly owned subsidiary of IDBI Bank, started as a Broking and Distribution company in the year 1993. Currently its businesses include Merchant Banking, Stock Broking, Distribution of Financial Products, Corporate Advisory Services, Debt Arranging & Undertaking, Portfolio Management of Pension / PF Funds & Research services. IIL was incorporated in the year 2000 March, as a wholly owned subsidiary of IDBI Bank to undertake the IT related activities in the Bank. The major business activities of the company are Information Technology Services, Information Security Practices, National Contact Center and Outbound Sales Team . IDBI- IAML was incorporated on January 25, in the year 2010 and is a subsidiary of IDBI Bank Ltd. IAML is the investment manager of schemes launched by IDBI Mutual Fund, which currently comprises of three open-ended equity schemes (IDBI Nifty Index Fund , IDBI Nifty Junior Index Fund and IDBI India Top 100 Equity Fund), one closed ended growth scheme (IDBI Rajiv Gandhi Equity Savings Scheme - Series I Plan A), six debt schemes (IDBI Liquid Fund, IDBI Ultra Short Term Fund, IDBI Short Term Bond Fund, IDBI Monthly Income Plan, IDBI Dynamic Bond Fund and IDBI Gilt Fund) , two schemes in the Gold category (IDBI Gold Exchange Traded Fund and IDBI Gold Fund) and eight Fixed Maturity Plans. IMTCL, a wholly owned subsidiary of IDBI Bank, was incorporated on January 25, 2010. The company acts as the Trustee of IDBI Mutual Fund. As per SEBI Mutual Fund Regulation 1996, the Trustees ensure that all the activities of the Mutual Fund are carried out within the regulatory frame work. ITSL was incorporated on March 8, 2001 for carrying out trusteeship and other related business. Consequent to acquisition of additional 14.92% shares of ITSL on October 01, 2011, IDBI Bank's shareholding in ITSL increased from 39.78% to 54.70% and it has became a subsidiary of IDBI Bank. The company's present operations include, acting as trustees to securitization transactions, acting as Bond/Debenture trustee, Security trusteeship assignments, Share pledge Trustee, Venture Capital Fund, Safe Keeping, Escrow Agency and other trusteeship services. - IDBI Federal is a Joint Venture Life Insurance Company of IDBI Bank Ltd., The Federal Bank Ltd. and Age as Insurance International (Ageas). 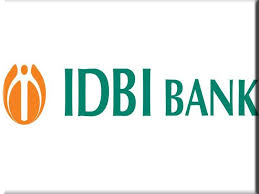 IDBI Federal commenced operations in March 2008. IDBI Bank holds 48% equity shares in IDBI Federal whereas Federal Bank Ltd. and Age as hold 26% equity shares each. The Company's life insurance business comprises individual life and pension and group life, including non-participating, health and linked segments. IDBI Federal has Bancassurance partnership with IDBI Bank and the Federal Bank and also distributes its products through its own network. To further diversify its distribution base, it has set up an Alternate and Direct Distribution channel.